A new YouTube series is calling out Democrats’ hypocrisy over the party’s ongoing campaign against the construction of a wall on the U.S.-southern border. The series, “Walls Across America,” created by Daily Caller’s Benny Johnson, plans to go to the homes of several Democrats to show that despite their claims that a border wall is "immoral," they believe walls are effective – because they live behind massive ones. Johnson kicked off the series on Sunday at liberal billionaire activist George Soros’s Long Island, N.Y., home. Soros, unsurprisingly, has a massive, approximately ten-foot-tall wall that wraps around his 11,500 square feet property in Southampton on the east end of Long Island. The concrete wall features cameras and guards at the entrance and runs so long that it wraps around a block, extending all the way into a nearby beach. 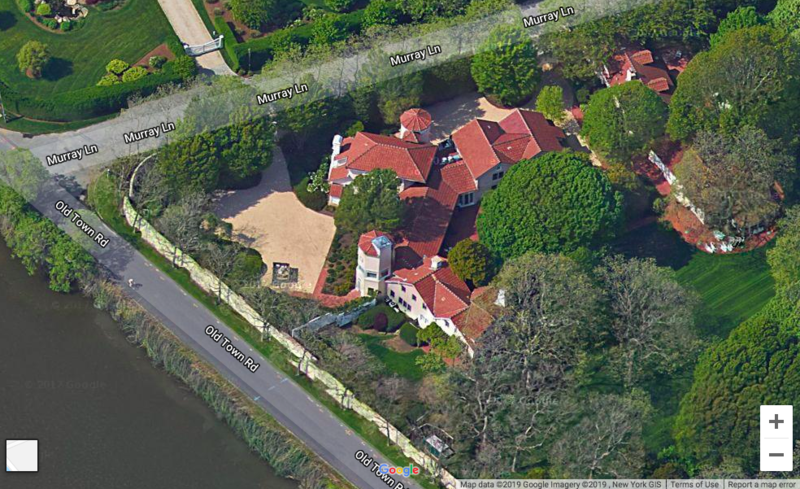 Here is the view of the property and the wall that surrounds it, clearly picked up by Google's satellites. Johnson went on to say that the point of his video “is not to troll George Soros,” but to show how he chooses to protect the people and things he loves. Johnson also did a video on the wall surrounding former President Obama’s home in Washington, D.C., in the beginning of January, though it wasn’t part of the series. Ironically, Johnson couldn’t get close enough to see the wall surrounding the Obamas’ property, as there were several other walls and security measures preventing him from anywhere closer than 1,000 feet.